Shelley and I have been working together for almost three years, and she is responsible for a lot of what goes on behind the scenes here at my blog. When I found out about using cards to sell ebooks at live events, I asked her to do some research on how you can use this great new technology for your own books. Here’s her report. E-books and e-readers have changed the face of publishing in ways that we might not have anticipated just a few short years ago, but with good reason. E-books are convenient. They’re easy to store, easy to distribute, cheaper to buy than print books in most cases and with adjustable font sizing available on most e-readers, they can be easier to read than a print book for a lot of people. There are also a lot of free ebooks available. They’re also cheaper to produce and often offer a higher profit margin for authors compared to print books. For all of these reasons and more, e-book sales are strong and many authors are bypassing print books and publishing their books, particularly works of fiction, only as e-books. But bookstores have been left out of the loop where e-books are concerned. They haven’t been able to display or sell e-books so there’s been no way for them to promote or profit from them. And for authors—especially those who have opted to publish their books only as e-books—opportunities for selling their books when giving readings or presentations have been lost, and book signings have been impossible. As the old saying goes, “out of sight, out of mind.” E-book authors have been at a disadvantage at bookstores with no offline physical representation. But you probably already knew all of this, right? What you might not know is that a couple of companies put their thinking caps on and came up with ingenious ways to solve these negative aspects of e-books—with title specific e-book gift cards! Livrada works closely with authors to provide them with e-book gift cards that can be used to promote and sell their e-books at book signings, conferences and local bookstores, and for giveaways to reviewers, family and friends. They also sell Digital PINs available in .xls or .csv files for email distribution of e-books. Livrada e-book gift cards can be redeemed for e-books for NOOK, and Kobo e-readers and e-reader apps for tablets and smartphones and can provide PDFs which can be read on Kindle. Livrada e-book gift cards are available for popular titles and can be purchased in a few retails stores throughout the United States or through the online bookstore on their website. Wallet sized cards range in price from about $0.50 (1,000 gift cards) to $1.50 (250 gift cards) depending on how many you purchase at a time. Signature sized cards, designed for book signings, sell for about $1.80 on average but this price also decreases if large quantities are ordered. The gift card will include the cover art of the book with instructions for redeeming the e-book and possibly a synopsis of the book on the back of the card, depending on which gift card size is selected. Digital PINs sell for $1.00 each but are ordered in batches. A $53 activation fee applies to each batch of Digital PINs regardless of size. In addition to the cost of the e-book gift card or Digital PIN, the author or publisher must pay for the cost of his/her e-book upfront for each e-book gift card. So, for example, if I’ve written an e-book and it is selling for $2 and I want 100 Digital PINs for that e-book, the upfront cost of the Digital PINs will be $403 (100 e-books x $2, 100 Digital PINS x $1 plus $53 activation fee.) The author can recoup some of this cost, however, because if/when the e-book gift cards are redeemed, the author will receive his or her royalties from Barnes and Noble or Kobo. E-book gift cards are redeemed through Livrada’s website and then, depending on the e-book format required, Livrada redirects the purchaser to either Barnes and Noble’s or Kobo’s website to download the e-book. The purchaser also needs to have an account with the e-book retailer. Currently, Livrada works with various TED authors and other best-selling authors. Their services are available only in North America at the moment, but they are hoping to soon make their services available internationally. Enthrill sells digital codes for $1.50 each or less if large quantities are ordered. Authors can have their own gift cards printed by any printer using the codes or distribute the codes by email or however they would like. A signature folding card that looks like a book. Costs for printed gift cards range anywhere from 0.35¢ to $4.50 each depending on the style of card and the quantity ordered. Shipping charges for printed cards also apply. Gift cards display the e-book cover on the front and a description of the book, author and publisher information, as well as download instructions for the gift card purchaser or recipient on the back of the card. Enthrill is, however, a fulfillment engine, not a card printer. They host and distribute the ebooks to all e-reading devices. The delivery of these books is done through their Endpaper Engine and uses PackaDRM, their cross-platform DRM solution. This gives the reader more flexibility with their books and provides the author/publisher with the ability to track misuse. There is no additional charge to the author/publisher beyond the cost of the codes to have Enthrill host their e-books. Only the unique 12 digit redemption code and an email address are required initially to access the e-books. When a customer downloads an e-book to their device for the first time, an account is automatically created for them. This account serves as a library as they download more and more content, which they can access at any time. Enthrill also sells e-book gift cards through retails stores in Canada but, at this time, the retail program is only open to best-selling authors usually offering bundled content of multiple books on one gift card. It is still an option, however, for independent authors to make their own arrangements to sell their e-books in bookstores using Enthrill’s e-book gift cards. Enthrill currently works with many North American publishers and authors including Guy Kawasaki (APE: How to Publish a Book) and Leigh Anne Tuohy (The Blind Side) and the company hopes to soon offer their services internationally. So now, bookstores can have the option to sell e-books, and authors can sell their e-books at events such as book signings or easily provide download codes to reviewers or for giveaways. And authors can sell gift cards online as another revenue source, or use the cards to distribute free ebooks. What do you think? Do you like the concept? Do you think you will buy e-book gift cards for your next e-book? Shelley Sturgeon (@ShelleySturgeon) is a virtual assistant who works with authors to help them create and maintain their author platforms. She understands the importance of establishing an online presence. Interested in writing since childhood, Shelley hopes to one day complete her own novel. In the meantime, she enjoys working with her clients on their journeys to success. For more information, visit Shelley’s website E-vantage Business Services. The lack of retail distribution options for Self-Published authors is the only thing holding these companies back. If an author can rent a hanger spot in retail locations, these will take off in a big way. If one of these companies can sublet a section of the rack space to self-pubs, at a competitive rate, (even via bid) it could be a boon. Exposure is the biggest problem for self-publishers and being able to rent it where it counts is a attractive draw. If I can place a bid to have my eBook cards hung on the rack at X chain for Y Weeks for Z dollars, I can make a sound business decision for my book’s exposure needs. Thanks for your comment, Tracy. One of the side effects of the disruption in the publishing industry is the split between suppliers who have always served major publishers, and the growing community of indie authors who want to get in on the action. 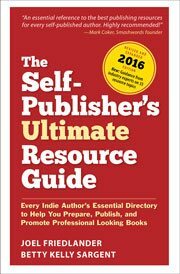 Vendors whose entire business model is based around dealing with a few publishers, each with hundreds or thousands of titles are completely unequipped to deal with indies, where you have thousands of authors, each with one or two titles. Of course, this opens a huge opportunity for companies willing to create models that work with this new reality. Great idea. Next they need to broaden it to make it possible for anyone to ‘gift’ any book to anyone else in e-form via one of these cards. This sounds like a really cool product. I was wondering if anyone knows whether it will be easy to download the ebooks onto an ereader though? Since I am technologically challenged, is process as easy as entering the PIN number/code/whatever-number-is-on-the-back-of-the-card into the “promotional code” box on my ereader? Athena, my understanding is that it should be as easy downloading an ebook from any other online ebook seller. No Athena, whatever the promotional code box on your ereader is is tied to the distributor of the reader. Not a third party distributor like this. So with Livrada, there’s the cost of the card, the cost of the PIN, the cost of the book through the distributor. The royalty on the book goes out of your pocket, back into your pocket, leaving you a net loss of the card, the PIN, and the distributor’s cut. I fail to see how this makes sense even as a promotional tool. Did I miss something? Hi from Livrada! We’re still working to make our costs affordable for all publishers and authors. However, right now, our cards in retail support seamless delivery and DRM that is approved by the major publishers. Having this kind of technology that has no side-loading and no extra accounts aside from the user’s own ebook reader account is an accomplishment we at Livrada are happy to offer. I still don’t see PD Singer’s question above answered. How does this make sense as a promotional tool if it leaves the client with a net loss per sold book? I wanted to speak to using a download card as a promotional tool. I run a company called http://www.dropcards.com and we focus solely on indie authors, indie publishers as well as larger publishers who use a download card for promotional use. If you are doing an event, whether it’s appearing at a conference, book reading, or signing, having a download card is cost effective. Create a compelling reason for fans to become interested in your book by offering a digital download of a chapter or two of your book, or add extra content like a video of an interview with the author, maybe there is a song associated with the book, maybe there is audio of someone reading the book. Publishers can use it to promote all their new releases on one card. 1000 custom cards for download with a landing page and e-mail data collection for less than $400. I hope this helps clear everything up as far as a promotional use. Thanks for the info, you are right on target with the subject matter of this article. I’d like to know more about how dropcards work for the user, and whether entire books can be sold this way and easily downloaded to users’ devices, or if they are intended primarily for promotional use. This technology is very new and I think each self-published author has to determine whether the benefits of getting the exposure outweigh the costs. I suspect this type of service will become more affordable for self-published authors over time. Right now, big publishing companies are in a different position and might be willing to absorb the loss to get additional exposure. PD, I agree. The example given was for a $2 book and leaves the author with a $2 loss. So this only makes sense for authors with a big enough following that they can charge $5-$6 for a book an therefore make a profit on this model. As a reader, I can’t see bothering with this. It adds a needless layer of complexity to the transaction. Even if I saw the card on the rack at Target and decided to make an impulse buy, I’d whip out my iPad and make the purchase there. Still, I look forward to follow-ups with real-world sales data. I have seen the Livrada cards at Target stores in my area. Great concept. Getting the cards in the major retail channels looks like it could be a challenge for us Self-Pubbers. It will be interesting of retailers open up bidding for spots on the shelves/hangers for these cards. If so, this could be the final breakthrough that people need to make real market penetration with their eBooks. Target stores are just now opening here in the Great White North and I haven’t been in one yet to see if they’re carrying the e-book gift cards here in Canada or not. Yes, it will be interesting to see if this really takes off in offline stores or not. Definitely a big no to me as a reader. If I was out and about and saw this I’d just note the book name for later (probably with my goodreads app) and buy it from amazon as an ebook later. I already belong to too many websites, another one to register for books isn’t going to happen when I have a perfectly good account with a store I prefer. Thinking about it, I guess I would like a different in-person event with an author of ebooks, rather than a signing of a card that I’m not going to keep. Also, $.50 is a huge chunk of the price of a well priced ebook, probably 10%, and the author themself is having to pay up front for all those ebooks, in addition to the printing? That sounds like a cheaper version of the vanity press to me. As the Director/Publisher of a small press, I’ve been thinking of this sort of thing recently; and, as one of the other commenters suggested, I’ve actually explored having cards printed up with a “discount code” (connected with eJunkie, who we use for digital distribution) or website address, rather than using a service like those above. He did acknowledge the possibility of impulse sales, which strikes me also as probably the biggest way such things would sell. So I’m curious whether there are real figures available for how much this sort of thing is worth it? Another scenario where I could see these selling is at readings and book-signings, as it would give a way for digital readers to get the versions they want. But would the expectation be that readers would hang onto a signed card, as they do with print books? I’m genuinely interested in seeing something like this take off, as it does represent a way for local and independent bookstores to cash in on the digital book market. If anyone has real data that show that this is viable and worthwhile for the local shops, I for one would like to know about it. I just approved the proofs for my ebook gift cards and will be using EJunkie and Paypal to manage the digital download and financial transactions, all from my website. Like you, I’ve encountered a tepid response from bookstores, so I’m viewing ebook gift cards as a promotional tool and a more convenient format to sell at events. One indie bookstore is going to sell them. If that goes well, perhaps I’ll be able to make inroads. My gift card has a PIN. It’s glued into a cover flat that features the full-size, full-color trade paperback cover on the outside, an excerpt with a QR code to allow people to read all of chapter one, quotes, author bio/photo and download instructions on the inside–with room for a personal inscription. And that’s important. This is not simply a more difficult way to buy an ebook. It’s a way for readers who prefer digital to have the gorgeous cover and a signed edition, which will appeal to some collectors. All that for $0.50 each (because of a promotional 15% discount from the printer). Without the discount, my costs would still have been under a dollar for a completely custom piece. Jill, I’d love to know more about how you put this together and how the process works, perhaps after you’ve had a chance to get the cards out into the world to see what the response is like and how they sell from your website. I hope you’ll check in because it would make a great follow-up post. Absolutely! I always intended to write this up and share my experiences with other writers. First recommendation is to search Dean Wesley Smith’s blog for his posts about ebook gift cards; he’s among the first writers I know who tried it. I used the printer he recommended (Printing For Less in Montana, USA). This is my second job with them, and so far, I’ve been thrilled; on top of providing excellent service, they are also the most eco-friendly printer I know. I also created a paper prototype and took it to indie bookstores, asking the owners for an honest assessment and advice. Based on that, I made 2 changes to my design: I added the QR code for the free first chapter and an ISBN/bar code. So far, I’ve only approached 4 bookstores: 2 local indies, and 2 specialty SF/fantasy stores (my novel is SF). The store that said “yes” already sells ebooks; I think openness to ebooks might be a key factor in selling this new format. Part of my pitch was based on offering them a format that no online retailer would have — the autographed ebook — but they didn’t see a competitive edge in this. This is my debut novel, so their wariness is understandable. I hope that changes, because I believe this format could be good for indie bookstores as well as indie writers. Not surprising to see this coming to pass, Shelley, but there’s an important question hanging out there that I didn’t see answered in your post: Does money start flowing back to the author when the CARD is purchased (from a retailer, not by the author) or only when the book is downloaded? It seems like it would be a whole lot cheaper for an author to print up cards with a coupon code for a free or reduced-price ebook than to go to the trouble and expense of having these gift cards created. Am I missing something here? Ross – when an author purchases cards from Enthrill, they are then in charge of their own distribution and sales. This means an author can charge any amount and keep the proceeds – there is no ongoing relationship or payment beyond the initial purchase of codes or cards. In Enthrill’s retail program where ebook gift cards are sold in grocery stores or book stores, payment is made monthly based on sales based on the activation of the card, not redemption or downloads. So, when a sale is made, everyone in the supply chain is paid.